Don’t let event advertising be a thorn in your side! Print beautiful Stylish Rose Flyers and post them in advance. 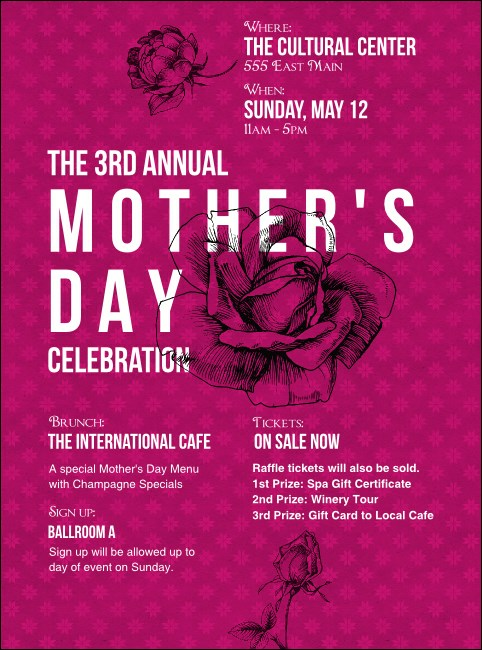 Make Mother’s Day more than just any other day with Flyer templates that feature an exquisite array of roses on a lush, dark pink background and twenty-four lines of text for all your event details. TicketPrinting.com helps you plant the best pre-event advertising.